Kazakhstan is as long and flat as it is charming and diverse. The real wonderment of Kazakhstan is its incredibly varied landscape. For example, Lake Kaindy is a beautiful crystal blue lake with a forest of birch trees rising above its depths high into the air. The country is also home to Sharyn Canyon, an 80-mile long red canyon that you would easily be forgiven for mistaking as the Grand Canyon. Lastly, make sure to visit Almaty, the lasrgest city in the country. The town has lots of theaters, museums, exhibition halls, art galleries and business centers and also a wide variety of entertainment complexes including movie theaters, night clubs, restaurants and cafes. If you are looking for a unique, off the beaten path country, then Kazakhstan is hard to beat. Bangladesh isn’t a favorite spot for Westerners. In fact, during my three-week visit to Bangladesh, I ran into just a handful of other Westerners making the most of this off beaten track country. Because the locals don’t see many Westerners, almost anything you do – from eating in a restaurant to buying a bottle of water in a shop – draws stares and sometimes crowds. I know this sounds incredibly intimidating, and it might seem overwhelming at first, but once you discover how genuinely nice, warm-hearted, and friendly the people are, you’ll feel right at home. The country has delicious food like naan and chicken biryani. Bangladesh also has lush jungles with Bengal tigers and long pristine beaches like Cox Bazar. But the real heart of the country is its people. Rarely have I been given so much help by locals. I had a policeman hop into a cab to make sure the driver didn’t try to rip me off. I had stalls owners close shop to show me where I was going. And let’s not forget the village of Hari Krishnas. I stumbled upon it in the middle of nowhere, and once they saw me, the whole village immediately stopped what they were doing to cook food and sing. Bangladesh might seem like an intimidating country from the outside, but once you start exploring, you’ll discover it’s a wonderful destination. Driving around Mongolia is an experience of a lifetime and, in my opinion, the best way to see the country. You’ll discover the breathtaking steppes and mountains, along with some of the nicest people in the world..
On any journey through Mongolia, you are bound to run into nomadic tribes still living off the land in their white yurts or ger. They will often invite you into the yard for food and a drink of airag, the local beverage. While the cities are nice, the real draw of this off the beaten path country is its jaw-droppingly beautiful green plains, dusty deserts, and quaint monasteries. My visit to Portugal was a pleasant surprise, and it’s one of the best countries to tour in 2018. 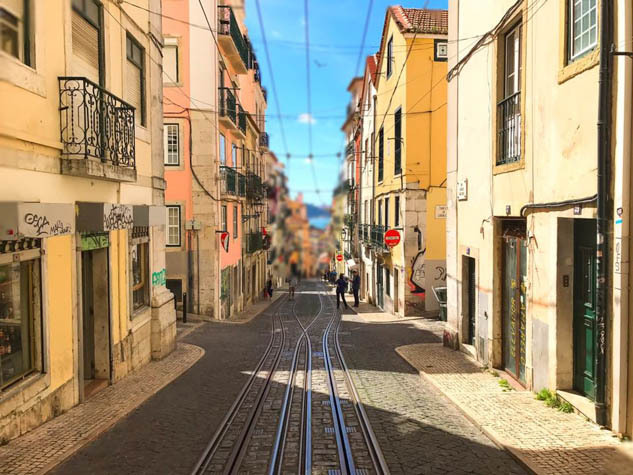 Portugal’s major hotspots –Lisbon, Porto, and Lagos – receive a fair bit of tourism. But don't let this fool you, the country is still off the beaten track. There are plenty of undiscovered coastlines, small towns, and places to visit where you won't see another traveler. It is a place I am desperate to get back to and discover before it becomes a more popular tourist destination. Many people who visit Europe go to Greece but entirely miss the beautiful mountainous country lying to its north. Macedonia is covered in ancient sites, rocky landscape, and historic villages. Another perk of this off the beaten path country – it is one of the most affordable places to travel in Europe. While America is a popular tourist destination worldwide, it is so big that there are plenty of places to visit off the beaten path. A few of the off the beaten path ideas in America include Cape Cod, Mackinac Island, Sedona, and the Great River Road. However, there are hundreds of others.